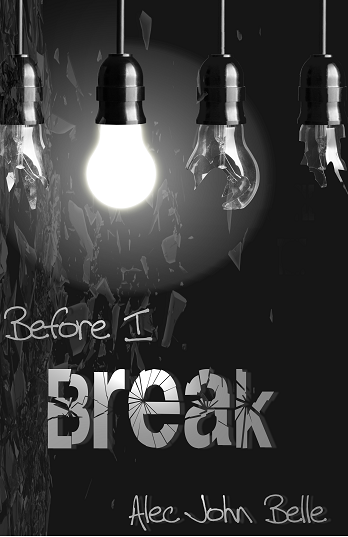 Because I’m unable to truly give back to my readers in any way, I decided that this year I would put my debut novel, Before I Break, on sale for free on Amazon once again. Here is the link to Before I Break. I just wanted to let you all know, for those who don’t follow me on Facebook and Twitter, that Forbidden Darkness, the first book in my paranormal YA series, is FREE until the 14th! This is part of Booktrope’s sale, where you can get over 200 of their e-books for FREE! Below is a link to Forbidden Darkness on Amazon, as well as Booktrope’s book archive of free books! Enjoy! How have you all been? I have been super busy the last few days with my move, but I’m super excited to talk to you about my new online serial drama Masquerade! This may sound familiar to some of you. In fact, it may sound very familiar. That’s because Masquerade was a series I was writing earlier in the year. While I was writing it, I had a sudden urge to add in a plot twist, but it didn’t turn out very well due to other things that happened in the series. Now I’m writing it again. It follows the lives of a group of teens at a high school called Wellington. Each of them starts seeing a mysterious figure they call Masquerade, and soon they realize they’re caught in a much bigger mystery than they thought. Who is the Masquerade? What do they want? Is there more than one? Why are they doing this? So many questions and so much time to flesh it out. I welcome you to join this journey with me, because I really enjoy the series, concept, and characters. Be warned: This series is self-published online by me. I have edited to the best of my abilities and hope that the story is intriguing. I have no plans of ever making this a book, because I love the idea of a serial drama. Right now there’s a Season One. This follows one school year of their lives. It will consist of about 20-22 “episodes” to read, and if it does well, I will continue. I have enough story to last about 3 seasons. There’s no specific days that I post, simply because my life is busy. I try to post as often as possible to keep readers interested. And guess what? The first few episodes are already up! If you notice, there’s a Masquerade tab at the top (or in the “menu” if you’re on mobile). Click on that and it’ll bring you to the list of episodes! Or you can go to the blog http://www.whoismasquerade.wordpress.com. I hope you join me on this journey, as I’m really excited! I love to interact with the readers, so if you have theories, tell me! I love them! Thanks so much for your patience with me lately. News on Shadow People coming soon. In the meantime, enjoy Masquerade! Many of you know that Before I Break was originally self published. During the time after the book’s first release, I started focusing on other characters that had important roles in the plot. I then came up with two short stories. When my book got picked up by Booktrope, I asked my book manager about these short stories I’d written. Originally the plan was to publish them through Booktrope to build the excitement for the book, but then we decided to do something a little more appreciative to the fans. We decided to make BOTH short stories free! And to make it even better, I decided to write a THIRD short story as well! For those of you who do not know what Before I Break is, all I can say right now is that it’s an LGBT Contemporary YA novel that focuses on other social issues. Some topics covered in the book and short stories are suicide, discrimination, mental illness, self harm, coming of age, discovering your sexuality, and more. The three short stories descriptions are as follows. 1. CAPRICIOUS (Before I Break, #0.5): In this haunting prequel short story to Alec John Belle’s novel, Before I Break, Jake struggles with the idea of religion, discrimination, homosexuality, and life as he deals with an obvious mental illness. 2. THE WINTER OF HARMS (Before I Break, #0.6): In this prequel short story to the upcoming novel,Before I Break, read Avery’s journal and see what pushed him to his breaking point, and the mistake he made that could have taken his own life. 3. TURMOIL (Before I Break, #0.7): Following the events of CAPRICIOUS, Melissa is happy in her relationship with Cyril, until she finds herself looking at other girls. But she loves Cyril…right? All of these short stories focus of the three supporting characters of Before I Break, which will focus on Cyril’s story. In the novel, you’ll see all of the stories come together and how each of these characters lead to Cyril’s breaking point. THE WINTER OF HARMS: June 12th, 2015. All leading up the the re-release of Before I Break! These short stories will also be available for free as e-books for iTunes, Nook, Page Foundry, and quite a few other places, but those links are now live as of right now. 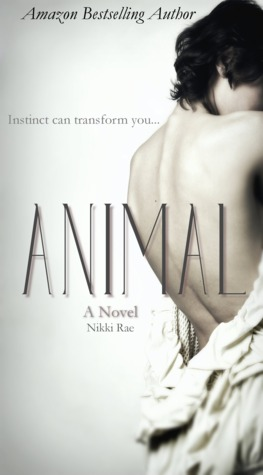 Today’s the day that I get to unveil the cover of Nikki Rae’s new book, Animal, which releases February 28th! Ava is afraid of vampires. That much was obvious within the first few pages of the book. I was a huge fan of Nikki Rae’s novella, The Donor, so when she was giving out copies to beta readers, I had to snag on up. I will admit, I have not read the Sunshine Series yet, though I’ve really wanted to. This book is apparently a spin-off of Sunshine, but you wouldn’t know if you haven’t read Sunshine. This book can stand entirely by itself, and for that, I have to give Nikki props. Writing a spin-off can be difficult, especially if you’re trying to make it so that it can be read before or after reading the series that started it. The story revolves around Ava, who has spent most of her list recently running from vampires. At first, you don’t really know why, but with Nikki Rae’s unique writing style, chapter layout, and story flow, you get to see bits of the past and of the present. Along with getting chapters told from the past and the present, you also get inside the head of a lot of the other characters in the novel, including Myles, Evan, and Toni (who I believe are also in the Sunshine series). Besides the creative writing, the story itself was phenomenal. Nikki really knows how to capture your heart and pull you right into the story. Ava clearly suffers from an anxiety disorder, and has panic attacks multiple times throughout the book. For me, this just added a whole new realistic layer that I wasn’t expecting, although I should have after reading The Donor. As a sufferer of an anxiety disorder, I totally understood how Ava felt a majority of the book. In this twisted and haunting tale, you really get to know each of these characters, their motives, why they are the way they are, and you come to love them. Even the main antagonist gave me some good feelings a few times, because this novel just goes to show you how some “evil” people may really be feeling. All in all, this book was perfect and I couldn’t have asked for it to go any other way. I really look forward to reading more of Nikki’s work soon, and am silently praying that she writes another book that follows this. What can I say? I absolutely LOVE this cover! And below you can check out the trailer for the book, as well as a teaser photo! Be sure to check out this book when it releases, because it is amazing! I have no doubt that fans of vampires will enjoy this book. I just wanted to give you all the heads up that Forbidden Darkness is FREE one last time for a while. If you don’t already know, The Forbidden Darkness Chronicles is about a girl named Heather Hawkins who finds out that she is a Monster Hunter. If you’re interested, please go check it out and write a review! I wish I could lie and say that writing Before I Break was an easy journey. When I came up with the idea for the story, I knew it was going to be a difficult book to write, because I was going to be writing it from the point of view of someone I wouldn’t necessarily like in real life. Here is a list of things I learned while writing my very first (and very challenging) published novel. 1. Writing from a perspective of someone opposite from you. If anything was challenging about this book, that would be it. Not only was it hard for me to actually get inside Cyril’s head, it was difficult for me to get my fingers to type some of the things he would say, like “fag” or anything else that was hurtful. I’ve had many experiences with straight guys that were not very pleasant, so when I told myself I was going to do this, I was looking at myself like I was crazy. Am I really going to go through with this? Can I even go through with this? What if I use too many stereotypes? What if he’s unlikable? These are the things I worried about for MONTHS before I actually sat down to write. I had an idea of where I was taking the ending, but the stuff in the middle…I had no idea. I just knew that everything had to lead up to that ending–the ending that I didn’t really want to write but knew I needed to. It was a hard book. It really was. I cried multiple times throughout the book, as well. Some people think that makes me a baby, but a majority of people don’t know what I’ve gone through, so writing the book was not an easy task. Writing from the perspective of the type of person who has told me to kill myself because no one wants me, or beat me up in school, or picked on my for being who I was…it was the hardest thing I think I’ve ever done as a writer, and for it to be my first book, I am extremely proud. 2. Not all straight guys are jerks. This sounds like an obvious statement, but like I said, I’ve had pretty bad experiences. Most of the straight guys I met were assholes, there’s no doubt about that. In school, almost all of my friends were girls because I just couldn’t deal with straight guys. It was awful. I had to hide any time I saw one. There was always this fear that I had, and I think a lot of times, the friendships with straight guys that I had that did go wrong eventually…it was my fault. Because there was always this internal fear that something would go wrong, so it did. Always. This book was an experience. Sometimes, I learned, guys (and girls too) just do what they know. A lot of them truly don’t know any better and haven’t had any room to think for themselves. There is sometimes this conflict inside of them, and that’s what I tried to portray in Before I Break. A lot of people said they thought Cyril was bipolar, but he isn’t. He’s confused. He’s really, really confused and can’t make up his mind. But the point is, I learned that they’re not all the same, and I wanted to write a book for straight guys in need of some ideas. I want to change perspectives. To prevent the ending of Before I Break from happening to others, this book needs to be read. And I’m not just saying that because I wrote it. 3. Religion CAN be used for good. This was something I kind of already knew, but didn’t know how it could be put into action. In this book, you had two sides: Homosexuality as a sin and homosexuality as a norm. So which is right? You can already assume my answer, but I think it’s up to the reader to decide. Cyril’s mom grows as a character, even if just a little, because she looks into what she believes. Cyril looks into it. Melissa already had her heart set right. Avery was a gay Christian. Pastor Morrison and Jake were homophobes. There were a lot of dynamics in the book, and life is a lot like that. Who is right and who’s wrong? Will we ever really have the answer to that? 4. There are different types of love. Obviously there’s a family love, a relationship love, and then a friend love. But is there somewhere in the middle as well? Cyril struggled in the book and wondered if there was a possibility he could be gay. There’s no denying that Cyril loves Avery, but it’s not in the way that many people wanted it. Heck, even I wanted he and Avery to get down and dirty a few times, but I knew that wasn’t Cyril. Cyril is straight and always will be, but there was that connection he and Avery shared. It was strong and I think a lot of friendships in real life can be like that. 5. The writing industry is hard. I wish I could say I’ve made millions off of this book, but I’m not. Actually, most people aren’t even aware that this book exists, unfortunately, but I have gained some fans and amazing friends through the process. More people are buying every day, but I’m still not making a lot of money. Actually, I’m hardly making a dime. If you haven’t read it already, it is currently free for Kindle on Amazon. But the process is worth it. Writing it was worth it. Seeing it come to life as a book in my hands with a beautiful cover was worth it. I just hope the readers find it as worth it as I did. The last couple of days since the release of the first book in my new series, Forbidden Darkness, so much has happened. Starting on the 11th, I made the e-book free for five days, and it’s still up and running. The first day I sold nearly 50 free e-books, which is pretty good for an unknown indie author like me. I’m happy to say that my book made it at #21 in Paranormal and Urban for Young Adult’s. It’s closer to #1 than my first book ever got, and I have a really good feeling about this new series. So far #21 is the closest it’s gotten and, while I don’t think it’ll get any closer than that, I am still extremely proud of myself. Thank you to everyone who purchased the free e-book. If you are interested in reading it, you can check out the link below. Fans are an essential part of the writing industry. Without fans, it’s hard to make money to produce more books, even if you’re a traditionally published author. If your books don’t sell, what’s the point in making more books? For me, being a self-published author makes this even harder. It’s hard to reach my audience, mostly because a majority of them have no idea my books exist. With Forbidden Darkness’s release, I was looking for some way to promote my series, and the best way I can do it is with Kindle Select. There are a few pros and cons to using Kindle Select. I can reach a certain audience easier. I get 70% of my royalties. I can choose either a Kindle Countdown Deal or Free E-book Deal for up to 5 days. I have to stay enrolled in Kindle Select for at least three months. I can’t have my book on any other distribution channels. I can only do one Deal per three months (which I think is ridiculous, by the way). I think the pros outweigh the cons even though they’re the same amount. I had my books on other distribution channels including Smashwords, Nook, iBooks, Kobo, Scribd, and Page Foundry, but the sales weren’t coming in. Why? Because no one knows I exist. Most of these sites don’t advertise your book for you and the readers have to manually go in and search for you. They don’t just stumble across it. Which means I need to have an audience, so how do I do that? Make the e-book free, of course. I remember when I did the free e-book sale on Kindle for Before I Break, and BOY did that book sell. Of course, I got no reviews which kind of sucked 5 mouthfuls of monkey balls, but at least it sold. So even though I told myself, I wouldn’t enroll in Kindle Select permanently, I am definitely doing it for the first three months as promotion. 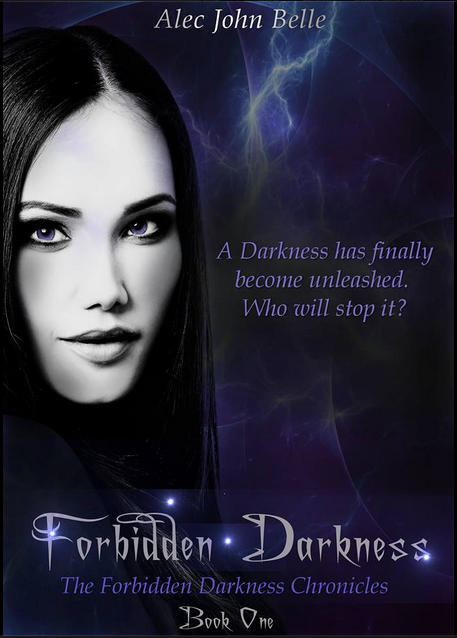 So starting 1/11/15-1/15/15, Forbidden Darkness will be free. It will only be free during this time and probably not ever again for a long time. I want to reach my audience and help them discover me. One thing I do ask if that you write reviews if you purchase this book. Reviews are very important to the author, whether they’re on your blog, Goodreads, or Amazon. They help me figure out what I did right and what I did wrong, and it also helps readers decide whether to read my books are not. The other thing I ask is that if you don’t like the book, please be polite about it. Constructive criticism is way better than tearing someone down who worked hard to get their book out there. So there you have it, guys! The first book in my new paranormal YA series will be free for 5 days, so be sure to get it while you can! The link to the book is below!